OPENING NIGHT: The Domestics (7:30p on June 21) Special Appearance by director Mike P. Nelson. The ticket to Opening Night on June 21st includes a Celebration Party, and a big bang of a first film for the fest. This survival love story follows a young couple (Tyler Hoechlin and Kate Bosworth) as they fight through a post-apocalyptic Midwest, described as “Mad Max” meets “The Purge.” To purchase tickets, click here. LIFETIME ACHIEVEMENT AWARD: Ernest R. Dickerson (2:15p on June 24) Special Appearance by cinematographer/director Ernest R. Dickerson. Dickerson began his career as a cinematographer for John Sayles (“Brother from Another Planet”) and the first five films of Spike Lee. As part of the celebration, his films as director, “Juice” (1992) and “Bones” (2001), will be screened. To purchase tickets, click here. BOUND (7p on June 27). Special Appearance by writer/director Lana Wachowski. See the film from 1996 that launched Chicago’s legendary Wachowski Siblings (“The Matrix” Series). To purchase tickets, click here. CLOSING NIGHT: Killer Klowns from Outer Space (7p on June 28) Special Appearance by writer/directors Charles and Stephen Chiodo. When you think cult films, this 1988 title inevitably pops up. Cinepocalyse celebrates closing night with the 30th Anniversary screening of this Chiodo Brothers “klassic.” To purchase tickets, click here. 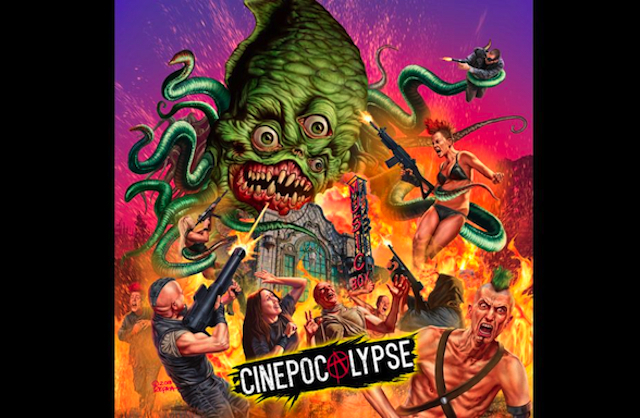 The 2018 CINEPOCALYPSE Film Festival takes place from Thursday, June 21st through Thursday, June 28th, at the Music Box Theatre, 3733 North Southport, Chicago. For more information and a complete schedule, click here.